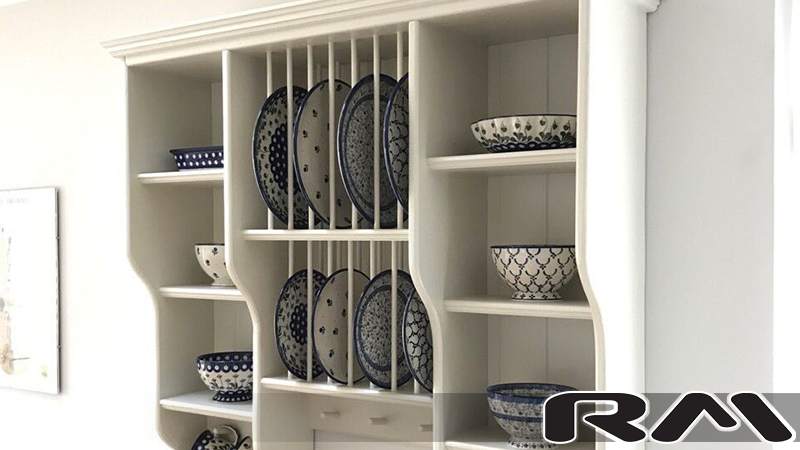 The Diana style holds 6 dinner plates, 6 side plates, 6 cup hooks and is finished in its natural state; dimensions 800 x 1000 x 230mm. 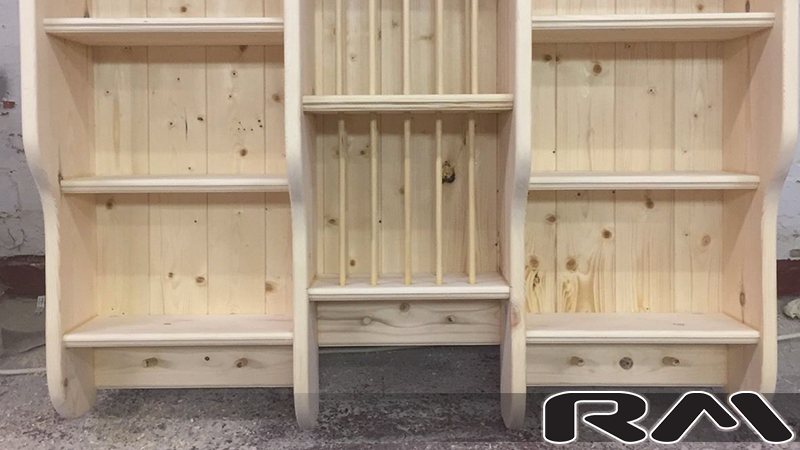 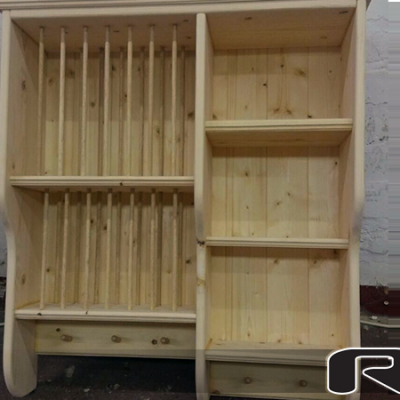 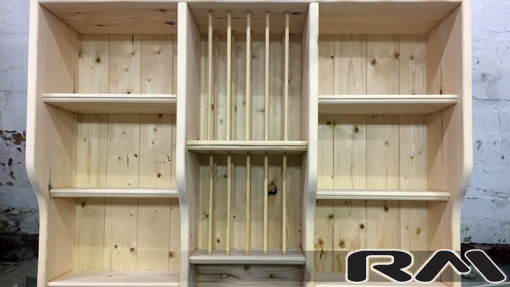 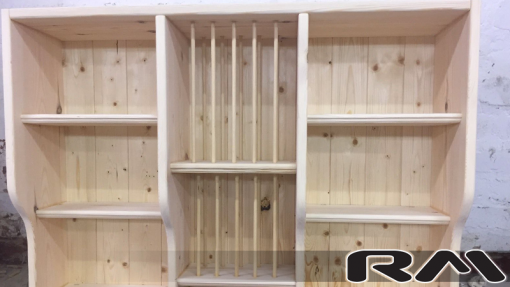 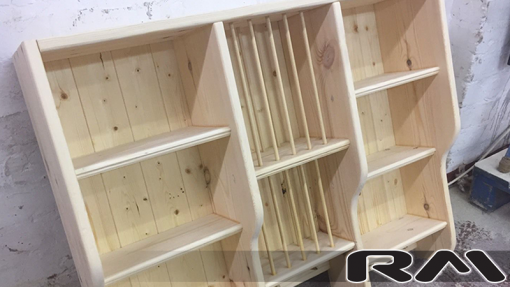 RM Interiors are delighted to present you this handmade wall mounted plate rack, made from the finest Swedish Pine. This beautifully hand made wooden plate rack is the perfect solution for your kitchen storage issues. Finished to a very high standard, these plate racks will make a great addition to your kitchen. 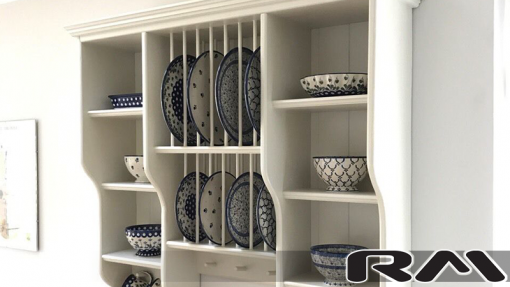 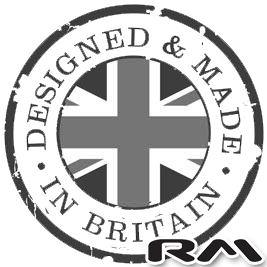 Loving crafted in the UK by a true craftsman using the finest materials, and incorporating space for 6 dinner plates, 6 side plates, 6 cup hooks and enough shelf space for your bowls and other items of crockery. 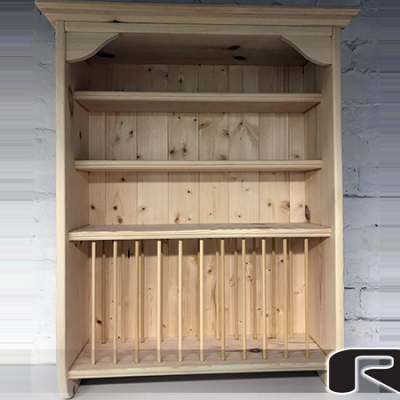 Option: This wooden pine plate rack can be supplied with the back panel loose, allowing you to paint the unit with ease, please select this from the options. 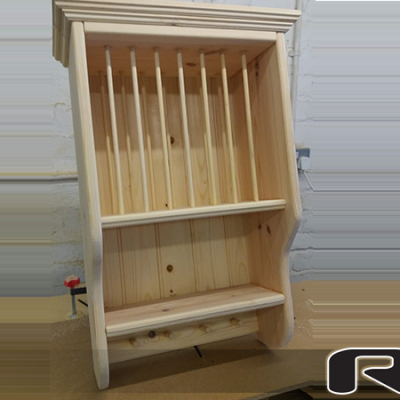 The panel is easy to tack back into place once painted (all units will be sent with the panel attached unless this option has been requested).